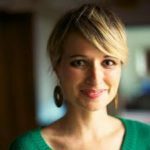 On this episode Katey sits down with author Erin Lane about her decision to take a year-long sabbatical, what responsibility she feels for the time, and what lessons–like celebrating small victories–she has learned that we all can incorporate into our lives, whether or not we can take a year off from paid work. Erin is the author of Lessons in Belonging from a Church-Going Commitment Phobe and the co-editor of Talking Taboo: American Christian Women Get Frank About Faith (Katey has a chapter in this book). She is a retreat facilitator for the Center for Courage & Renewal and Chair of the Board for the Resource Center for Women & Ministry in the South. Find her at erinslane.com. BONUS: We check-in with Ashley about her transition to motherhood and she answers a question about parenting expectations. 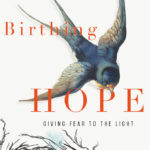 Katey previews Rachel Marie Stone’s forthcoming book Birthing Hope: Giving Fear to the Light. You can pre-order it now, and it’ll be released on May 1st. It is stunningly beautiful. One of the stories she tells is about a time when she, without gloves, caught a newborn baby whose mother was HIV+. As she wait to see if she contracts the virus, she contemplates her own mortality. 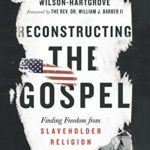 Erin reads Jonathan Wilson-Hartgrove’s Reconstructing the Gospel: Finding Freedom from Slaveholder Religion, in which he talks about how Christianity has not been “good news” for everyone and how we can confront the white supremacy in our theology today. We celebrate Naomi Wadler, the youngest speaker at the March for Our Lives rally in Washington. If you haven’t seen her speech, go watch it now. Here’s an excerpt of her speech. She reminds those of us in the struggle for justice that we can’t disregard the ways that different kinds of oppression reinforce one another. We can’t wait to watch Naomi and other young activists, particularly young girls of color, continue to rise up and challenge the structures and institutions that have prevented us from creating a more just society for everyone. If you’re interested in the Enneagram, you can learn more about it here. Erin also recommends The Road Between Us by Suzanne Stabile.